The translation of this homepage is unfortunately not complete. We would love to give you the opportunity to read all the interesting articles Fritz Stahlecker has published. All you should know concerning the HSH-method and the equipement however is available in English, as well the training program for the HSH-method. Please don’t hesitate to contact us for further information, orders or if you have any questions. See underneath “Contact” and write me an e-mail. Thank you for your understanding! You are looking for a clinic in your area? 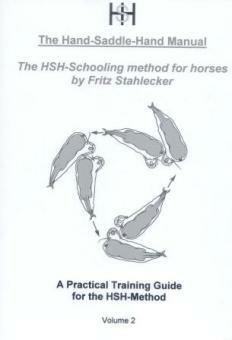 You would like to organize HSH clinics in your stable? Let us know, if you are interested in introductions or continous help with HSH, we try to build HSH groups and to accompany continuously. We are also moste welcome to give introductions to the HSH-center-curb-bit.